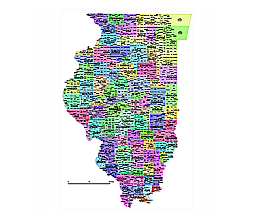 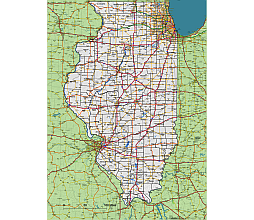 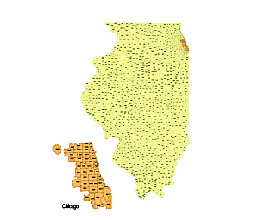 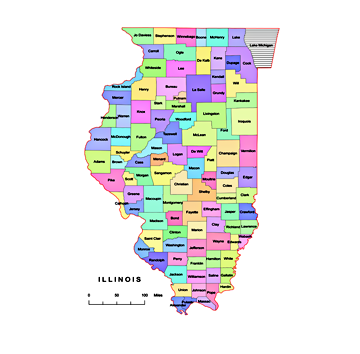 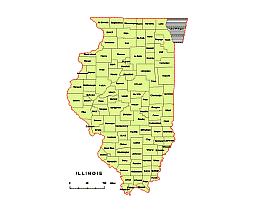 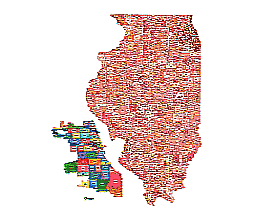 Editable royalty-free map of Illinois, IL in vector-graphic online store. 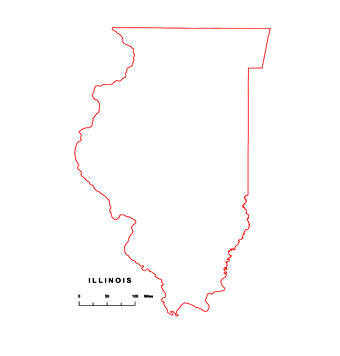 The East North Central States contains five states: Illinois, Indiana, Michigan, Ohio, and Wisconsin. 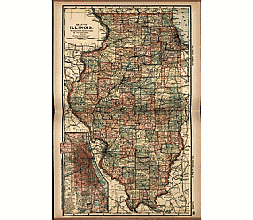 Illinois is bordered to the north by Wisconsin, to the east by Indiana and Lake Michigan, to the southest by Kentucky| and to the west by the Mississippi River and Missouri and Iowa (across the river). 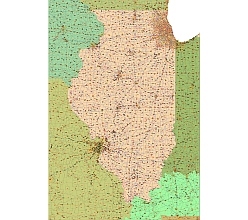 Colleges and universities in Illinois.Vector map.